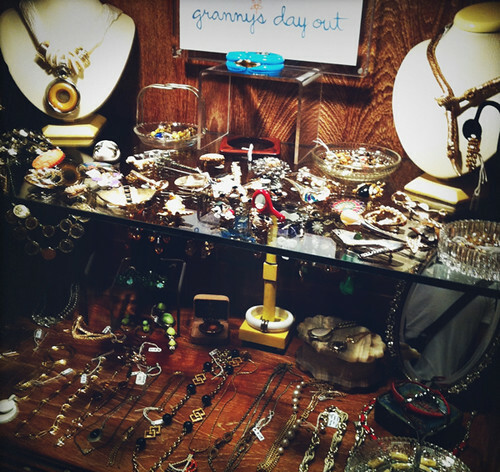 Vintage jewellery pieces that we’re digging! 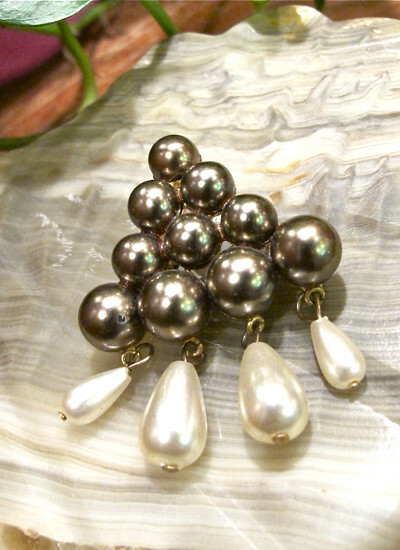 Shake those pearls! 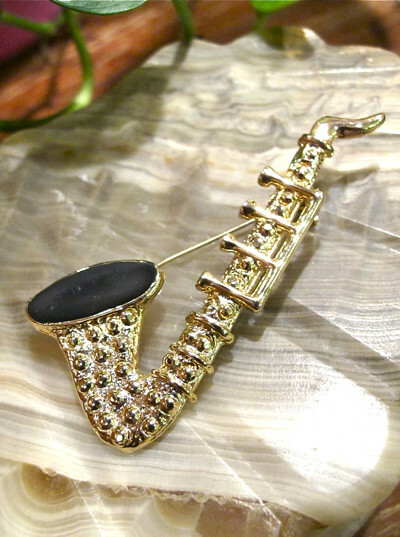 We love this swingy brooch! 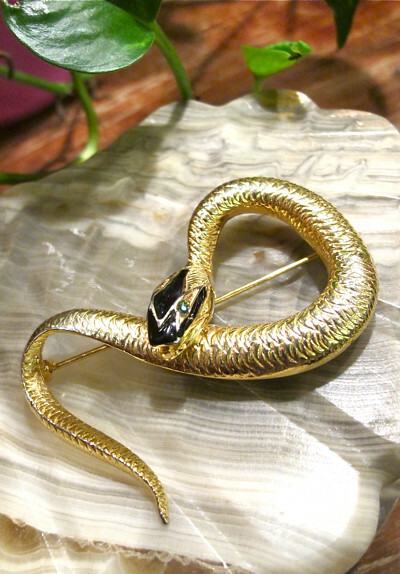 Always wanted a pet snake? 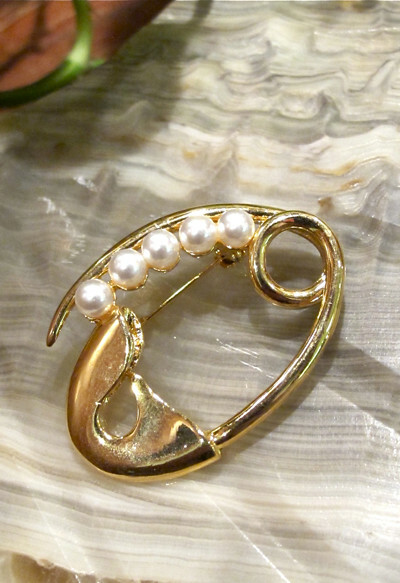 Pearls on a safety pin! 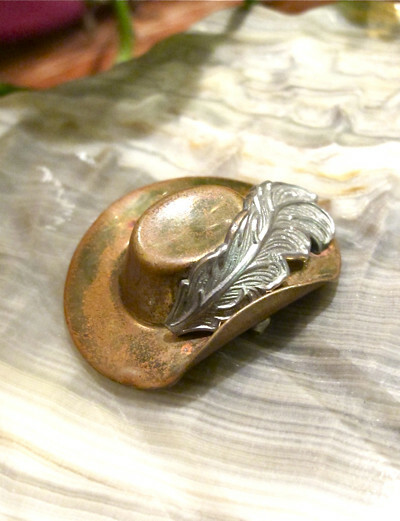 Rustic looking feathered cowboy hat. Yee-Haaa! 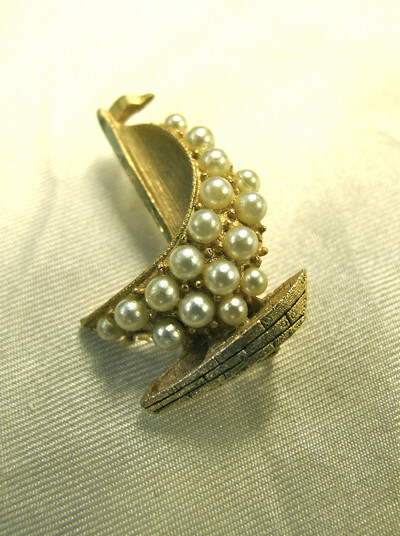 Sail the seven seas with this lovely pearly sailboat brooch! 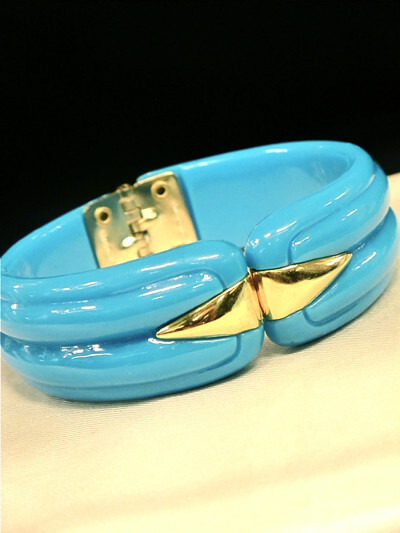 Funky Chunky Clinky Clanky Bracelet! 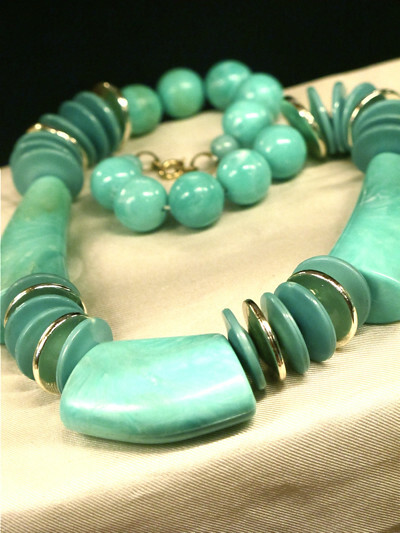 Amp up your style with chunky necklaces like this one! 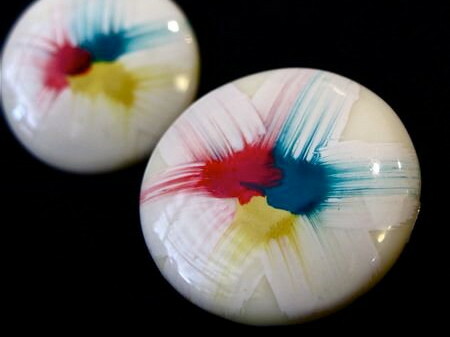 WE’VE BROUGHT loads of new stuff to Blueprint! 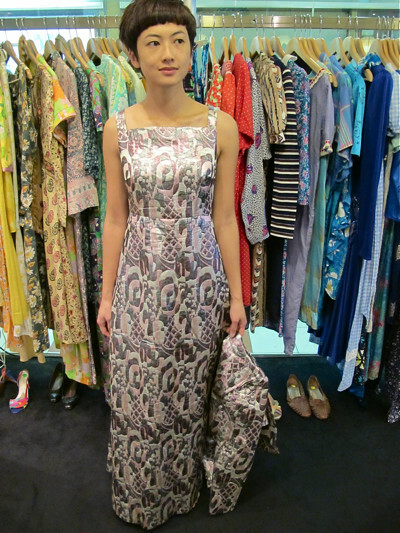 Delectable gowns, beautiful 1950s dresses, a brand new range of cool vintage jewellery all the way from Europe. 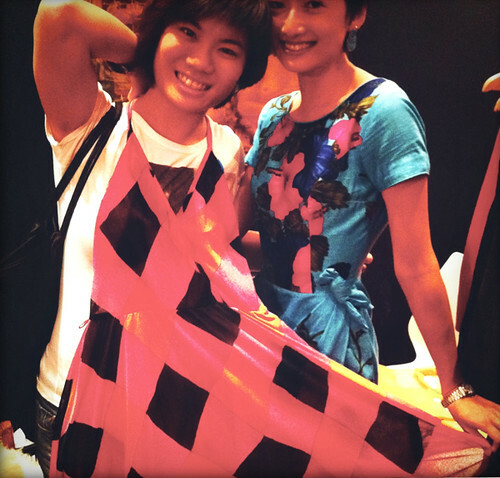 Requisite shot of the two salesgirls! We dressed up our booth real nice! 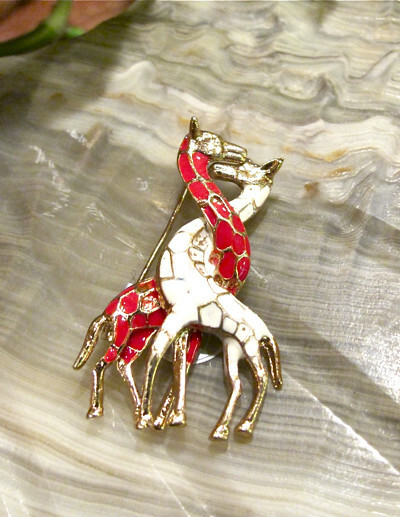 Treasures abound! 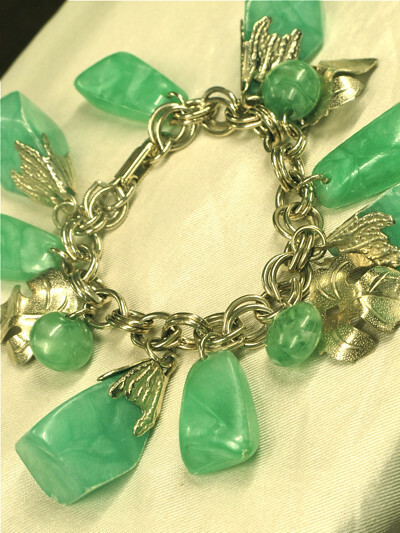 If you love vintage jewellery, you gotta come check us out! 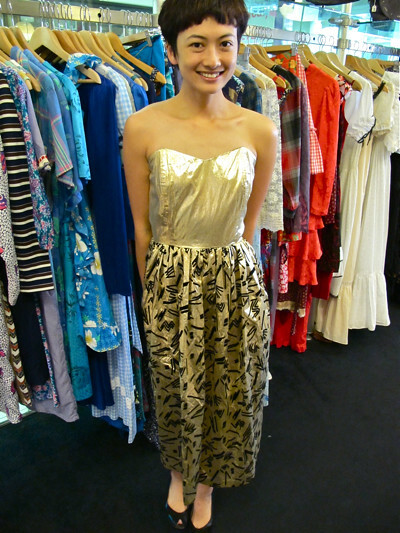 This stunning geometric 1970s party dress was on the mannequin, and immediately snapped up by our dear customer Vivienne! DON’T MISS out! Enjoy 50% off clothing, bags and shoes at our sale at the shop in Peninsula Shopping Centre. Here’s a taste of what’s in the store. There’s plenty more. Everything’s one-piece only. Racks will be replenished often. Come down and try everything! No reservations. Sale ends 10 June. For enquiries, please call 6336 9774. 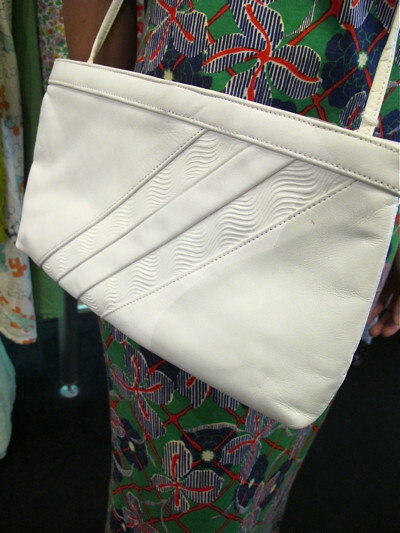 Nice pattern on this 1980s sling bag that doubles up as a clutch! Mix textures together! 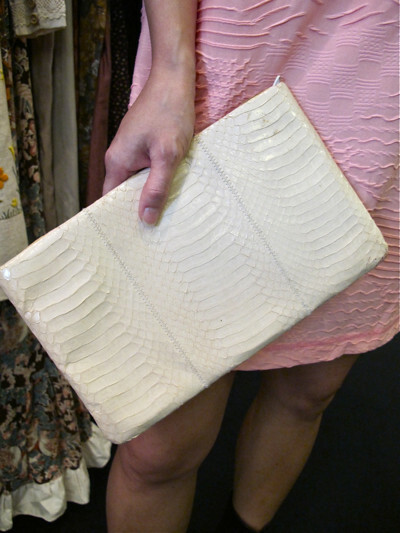 In this case, the texture of this genuine snakeskin clutch nicely offsets the dress's pattern! Come sail with me! 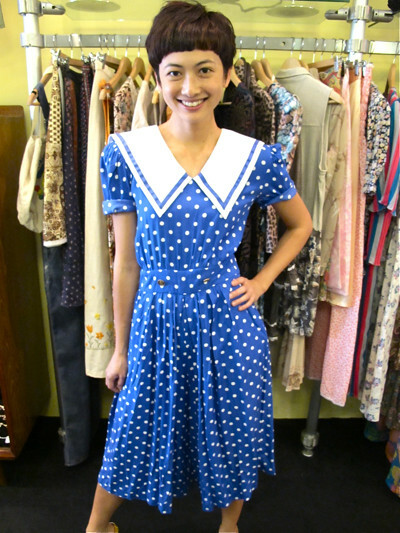 Cute Nautical 1980s polka dot jumpsuit. 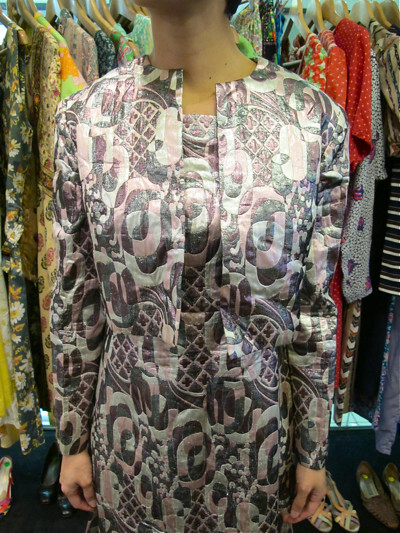 That's the adorable little jacket - great as a separate! 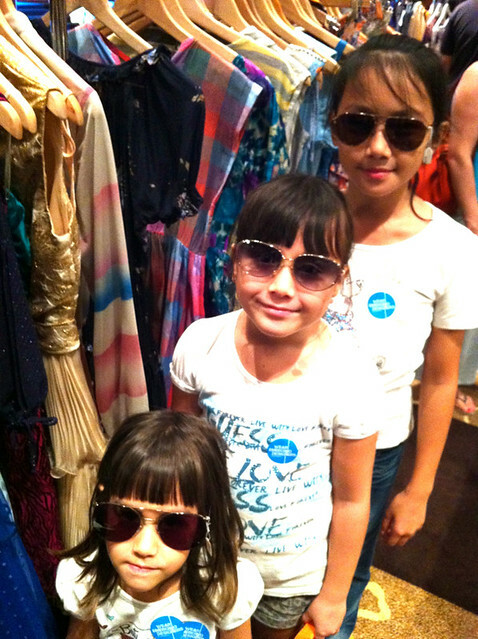 Batik, anyone? 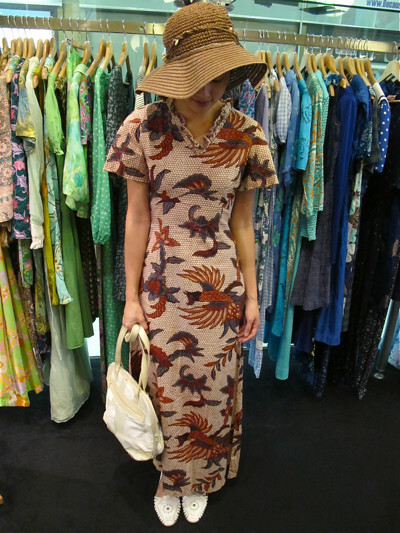 1970s dress (Size: XS) with an awesome bird and flower motif. 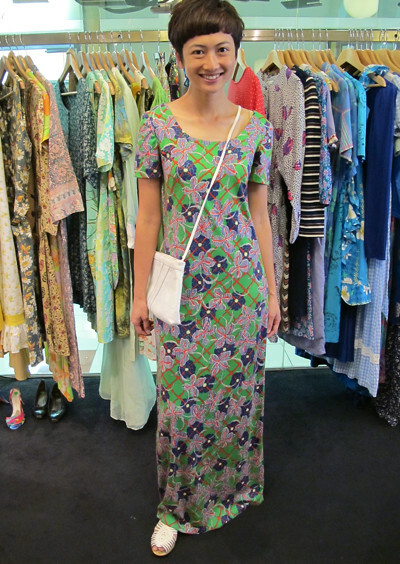 Worn with a 1980s patchwork bag and white 80s sandals. The hat's our own! 1980s beige patchwork leather shoulder bag. Eh? 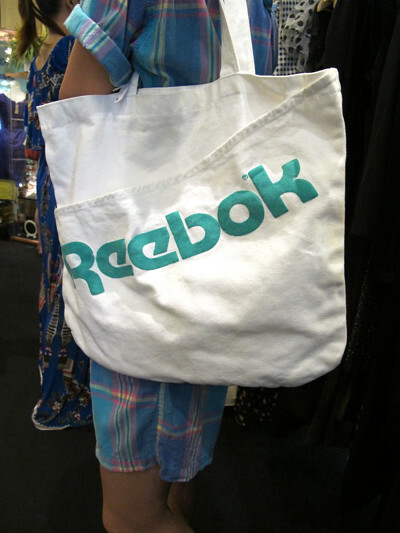 Reebok bag? Yes. And a cloth one at that. Super 80s. 1980s black and white checkered romper with buttons down the front (Size: M); Black leather tooled handbag. 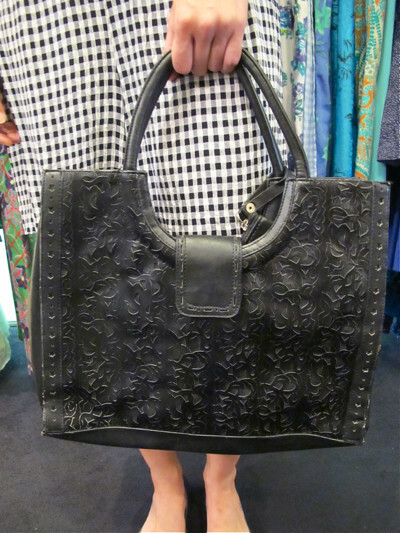 Black hand-tooled bag from the US of A! Happening emerald green jumpsuit! Size L/XL. Can be taken in to fit a size M.
Royal blue 1950 shift dress with sequins sewn into the decolletage. Size: XS/S. 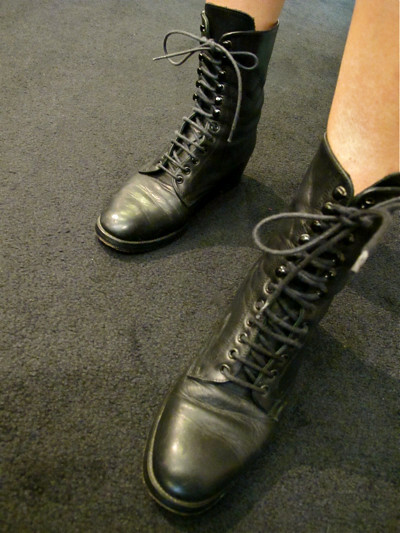 Worn with a 1950s black purse and 1980s peep-toe heels. Mix the eras! 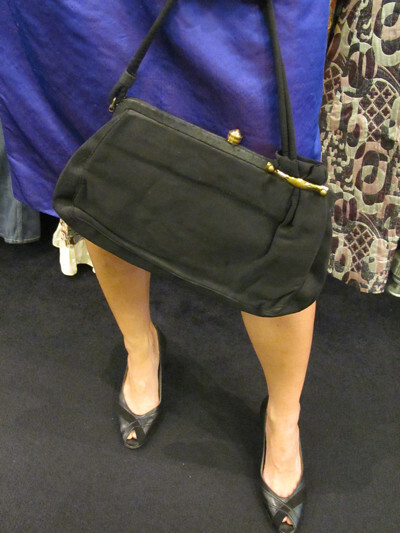 Black 1950s handbag and black 1980s peep-toe heels. Gorgeous 1960s lace daisy dress in a deep shade of burgundy! Size M/L. 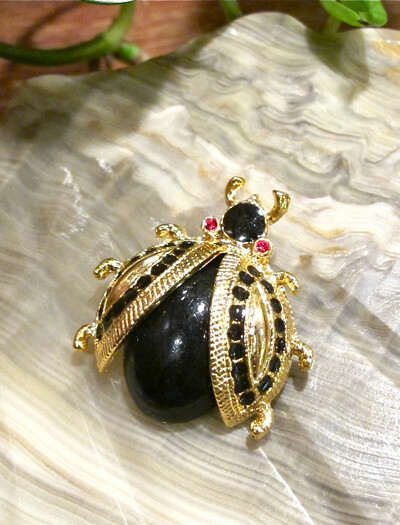 Matched with a 1960s black straw bag. 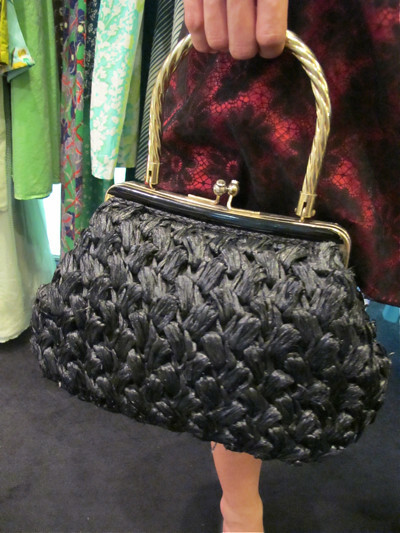 Black 1960s straw bag with gold-tone handles. 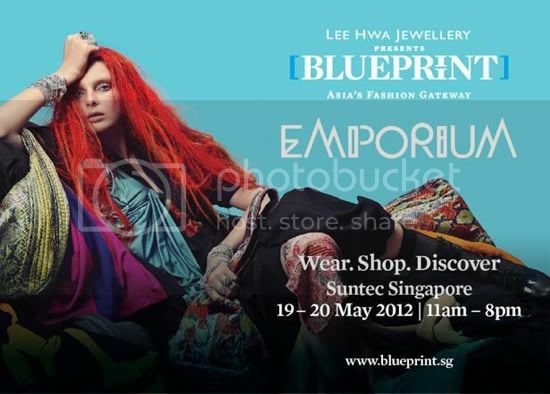 SEE YOU AT BLUEPRINT EMPORIUM! 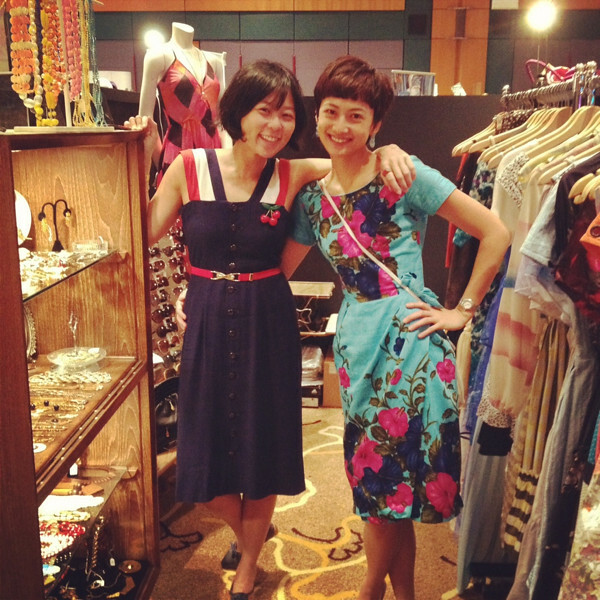 GRANNY’S DAY OUT is excited to be part of this year’s Blueprint Emporium! 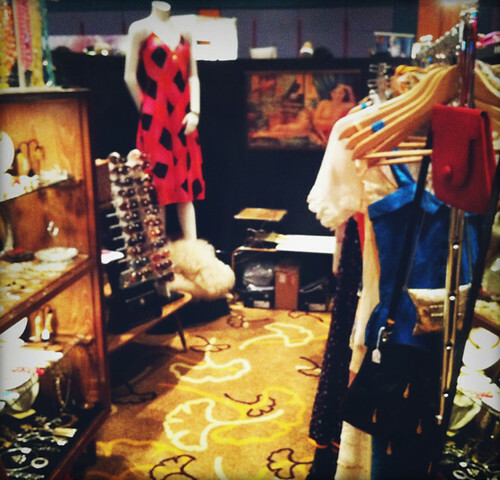 Look for us – we’re at booth B74! IT’S TIME to drop some names (i.e. our name) for the love of laundry. 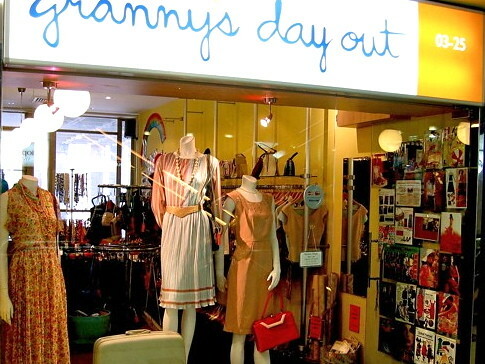 Simply mention the magic words “Granny’s Day Out” at dry cleaners For The Love Of Laundry and enjoy 30% off your FIRST bill. 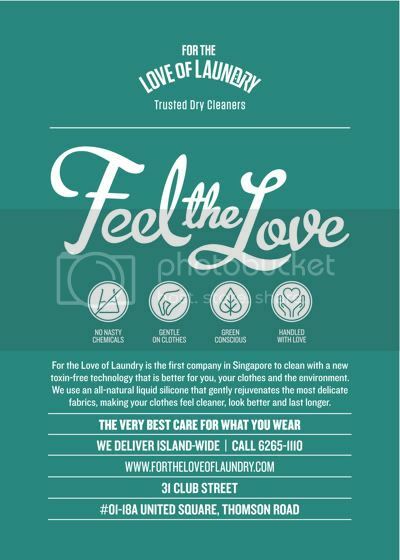 We love these guys for their all-natural liquid silicone which cleans your precious vintage clothing gently and effectively. Plus, they’re environmentally green!